Cosmik & Rhubarb didn’t want to do a show this year, but Tyger Cowboy promised them an extra hour in the ball pit and a case of Diet Caffeine-free Mountain Dew, so here they are. Six years after Rhubarb left the fandom and Cosmik entered Marion, they’re back to ruin things once and for all. Join them for an hour of good songs performed badly, bad songs performed weirdly, and weird songs performed… well, you get the idea. Bring your requests, your best sing-along voice, and an almost fanatical devotion to the pope. The only place they’re going this year is too far. Rhubarb The Bear couldn’t be happier to be an honored musical guest at this year’s Mephit Fur Meet. He was Guest of Honor at last year’s Indy Fur Con, as well as Wild Nights, Fangcon, and Eurofurence. 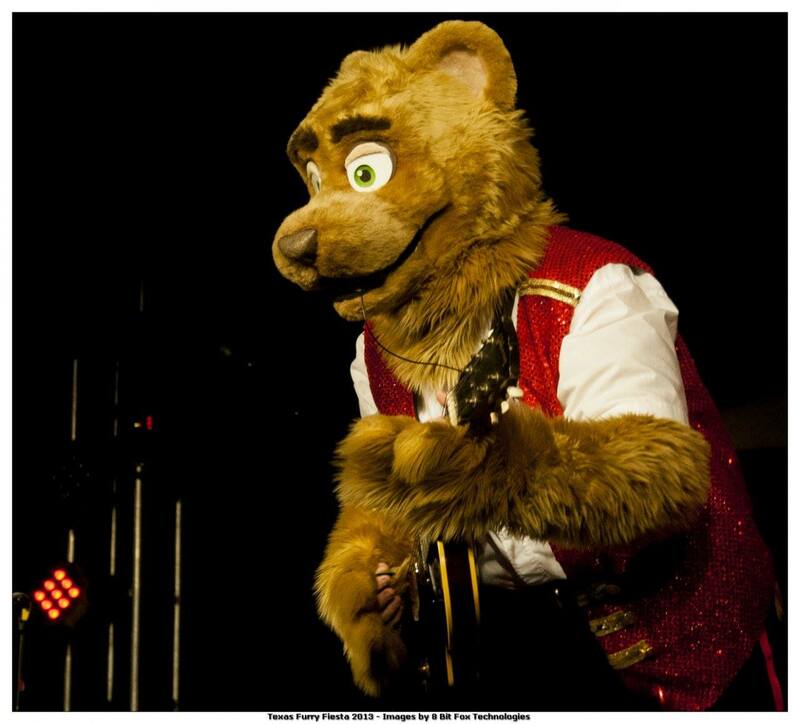 After his solo debut at Texas Furry Fiesta 2012 with Bear-Based Entertainment, his second solo show Maximum fuR&B appeared in the Orlando International Fringe Festival 2013; it went on to receive “Best Kids Show” honors from The Daily City and positive reviews in the Orlando Sentinel. Since 2014 he has performed as a duet with longtime partner Cosmik in Hello World!, The Songs You Hate!, and Rhubarb and Cosmik Ruin Everything. For those of you who care about real life, Rhubarb’s wink-wink-nudge-nudge “manager” Ned Wilkinson dipped his toes into the ocean of the furry fandom in 2010 with his original musical Julie Bunny Must Die! and followed it up with the anthropomorphic Shakespeare spoof Fosgate: Ferret Loan Officer. Both musicals have enjoyed success at Fringe and at cons such as Wild Nights, Oklacon, and Megaplex; Fosgate won Patrons Pick and Orlando Sentinel Top 10 honors, and Julie Bunny now exists as an original cast album. Ned continues to create and perform theater, and recently produced a musical advertising campaign for a nationwide dog snack company. Cosmik is a freelance musical director, accompanist, vocal coach, actor and DJ whose professional career spans over 40 years and hundreds of shows. 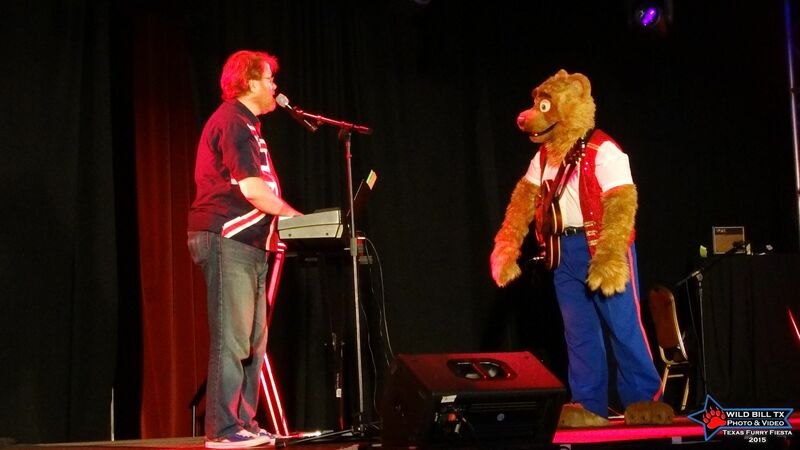 He’s entertained the fandom at various cons on two continents as both a solo act and with his partner Rhubarb The Bear, and his dead dog pub sings at Anthrocon are legendary. Cosmik is recording and releasing his debut CD later this year, and recently appeared on Wildfyre, a compilation CD to benefit the Badger Trust. To keep up to date on this and other projects, follow @TheRealCosmik on Twitter. 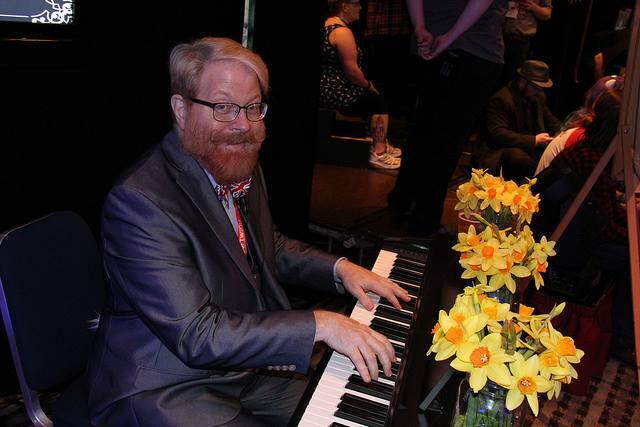 In his human form, Cosmik is Music Director at the Winter Park Playhouse, in Orlando, FL, and entertains regularly at the Rose & Crown Pub and Dining Room in Walt Disney World’s EPCOT. He has sung with the Dapper Dans of Main Street, tickled the ivories at the Hoop Dee Doo Revue at Disney’s For Wilderness) and spent several holiday seasons performing as Grandpa Who in Universal Studios’ Grinchmas Holiday Spectacular. He performed his award-winning cabaret I’m Just Not That Gay at Orlando and KC Fringe Festivals, and at Don’t Tell Mama in New York.